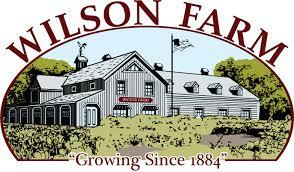 Wilson Farm has been operational for more than one hundred years. Irish immigrants were the official founders of the farm, which is currently a retail farm. Wilson Farm was founded in 1884 by Irish immigrants and has since then maintained its location. W.M. Wilson, James Alexander Wilson and George Reynolds, their brother-in-law, moved from Enniskillen, Ireland to Lexington, Kentucky. In Lexington, they managed to purchase a land parcel of 16 acres and rent out some surrounding fields for the purpose of farming. Thier salesman was James A. Wilson, while other partners did some work in the farm, grew plants and vegetable crops. Some of the crops that were grown include white turnip, cabbage, carrots, celery, and beets. Farmers from Lexington and the neighboring towns had to take their produce to Quincy market in the late 1800s. In the evenings, most small-scale farmers brought their produce to James Wilson. James Wilson combined the loads in an effort to fill market wagons. Teams of road horses pulled these market wagons since the work horses had to retire for the day. Trips to markets were less frequent during the months of winter. For this reason, pits served as the main storage area for vegetables. Boards and salt malt hay were used to cover these pits. Later on, the sons of James A. Wilson joined the business. This led to the two other partners losing interest and proceeding to start a clothing dying business. Since its inception, Wilson Farm has greatly expanded. Currently, there are 33 acres of land.